Hello, we're Frog & Cog! A pair of best friends and independent artists who love drawing, painting, crafting, and creating in general! We run our small business out of our apartment in a tiny town in rural Western Washington. Currently, while having to balance work with our respective studies, and Cog's physical disabilities, it's been hard to financially justify spending so much of our free time on producing product for our shop. With your help, we would be able to support ourselves well enough to produce more content at a more regular rate, and help us to be able to stock our store regularly with product both old and new! With enough help, we'd even be able to make it to conventions more often! We'd love to be able to meet as many of you as possible! Pledging any amount would help us greatly. 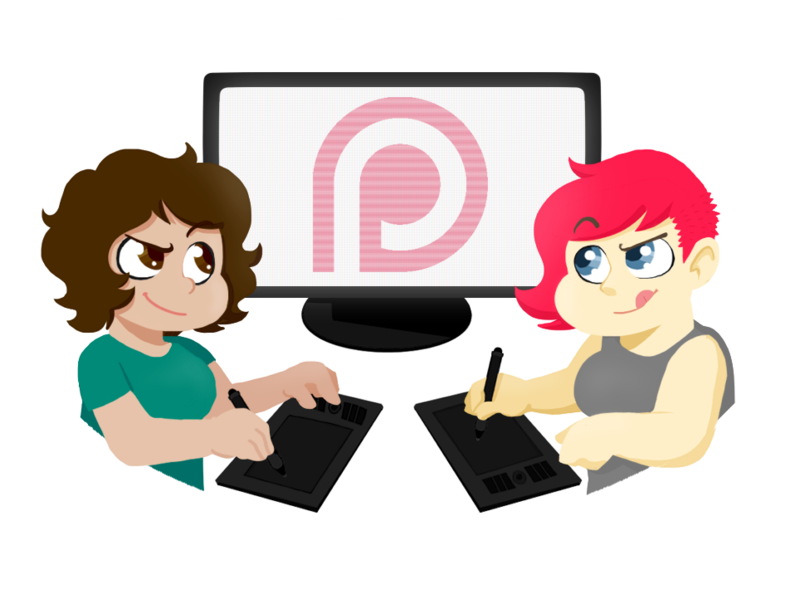 Make sure to check out our goals (making $200 a month would result in making pony enamel pins!) and our different reward teirs (lots of different goodies for you to get)! submit drawing request to a raffle - winner gets their request drawn! We'll host (and record) monthly streams 100% answering questions while playing video games! Full sketch dumps will be publicly available! We'll draw a request made by and then voted for by our fans!